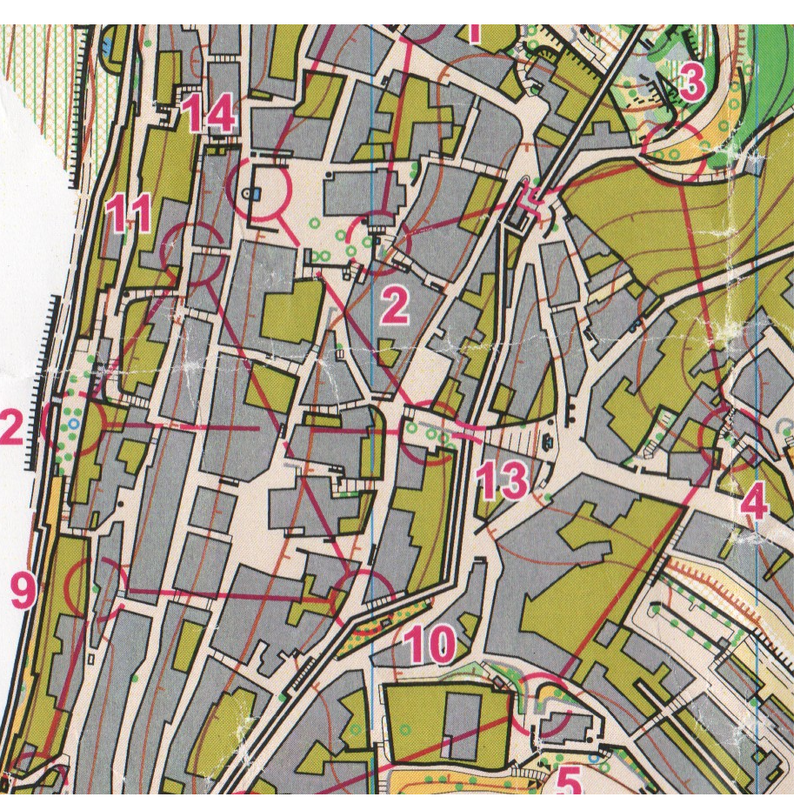 When Orienteering, it is very important to be able to judge how far you have run. 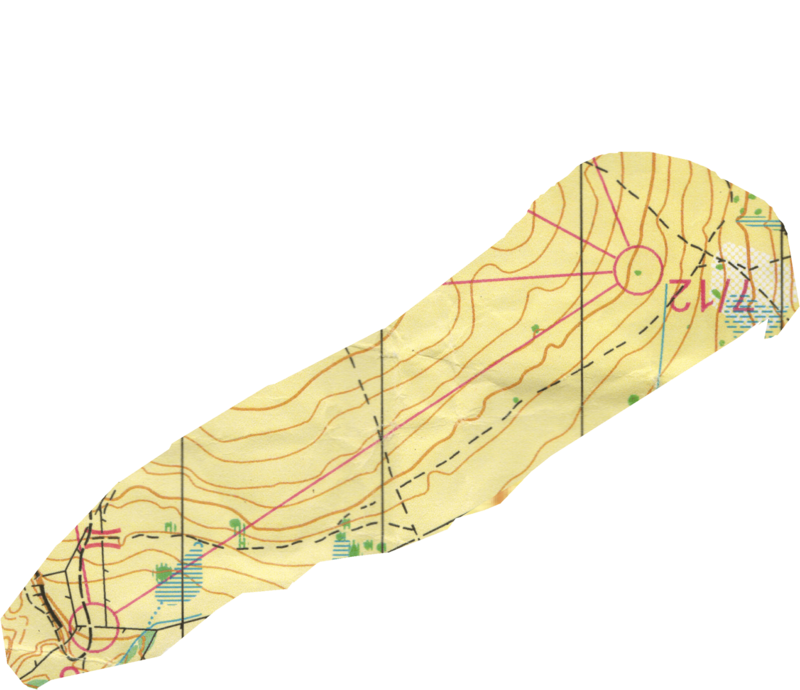 For example, when if you are running along a path and there is a control somewhere in the forest to one side, there may not be a feature in the right place so you know when to leave the path. If you can judge the distance correctly, it is a lot easier to find the control. 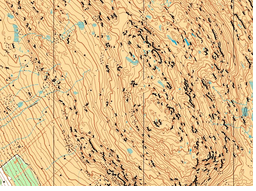 Firstly, we’ll look at different map scales. Smaller club events can also use 1:10,000 scale, but in smaller areas we often use 1:7,500 or 1:5,000. For sprint and park events, such as the WEE series, or the Legenderry weekend coming up, a scale of 1:4,000 or even 1:3,000 is used. As you can see, there is a clear difference between the scales on these maps. To judge distances, most compasses have a ruler along the side, which measures in cm or mm. On most maps, each of the north lines lie 250m apart, so these can be used to get an estimate of distance without having to measure. So it is fairly easy to judge distance on the map, either by guessing a distance by eye, or by accurately measuring it and converting. The conversion is normally written next to the scale bar. However, without knowing how far you have run, knowing how far you have to run is useless – this is where pacing comes in. Mark out 100m on a path somewhere. Run from one end to the other, and count every time your right foot touches the ground. For most adults, it takes about 40 ‘double paces’ to cover 100m. 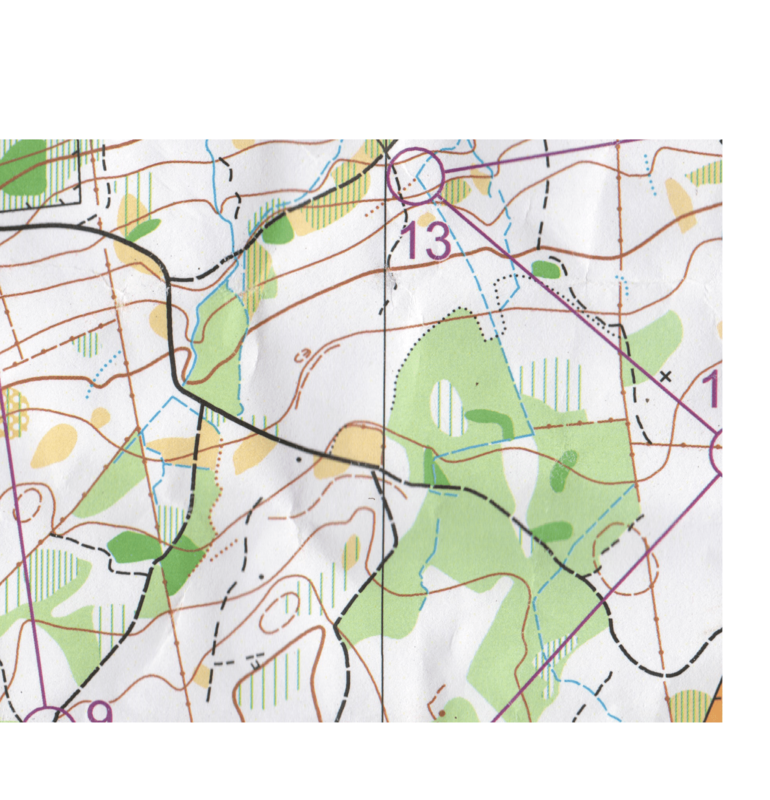 For juniors, this will be less, maybe 50 or even 60 double paces, depending on how big your strides are. Now, try measuring the distance between two points on a map by pacing it – count the double paces, then work out how far you have gone, remembering how many paces it takes to run 100m. Check you were right by measuring. Next time you see a leg like this on a course, use pacing so you can leave the path at the right time, and hit the control perfectly.